Michelle Knight's new name is Lily, after her favorite flower. Michelle Knight, one of the three women who escaped captivity from a Cleveland house of horrors last year, says she’s changed her name and distanced herself from the other captives. Knight told People magazine she changed her name to “Lily” and has parted ways from Amanda Berry and Gina DeJesus, the two other women who were freed from Ariel Castro’s decade long captivity. (Hennes Paynter Communications/AP Photo) Amanda Berry is seen here in the the YouTube video posted, July 8, 2013. The three women held captive in a Cleveland home for a decade broke their public silence in a 3-minute, 30-second video posted on YouTube. One expert says it’s a smart move for the 33-year-old, still reeling from more than a decade of horrific sexual, emotional and physical abuse. Creating a new life is one way people cope, he said. Post-traumatic stress disorder is common among kidnap and captivity victims, Masand said. For Knight, who has never publicly said she suffers from PTSD, those reminders could be Berry and DeJesus. “If you distance yourself from events, locations, people, places that are daily reminders of trauma – particularly serious captivity, as occurred in her case – physical distance can be healing. It can create emotional distance. You begin to heal and create a new life around new events, new memories, new contacts,” he said. Knight, who was held captive the longest and suffered the most abuse from Castro, has previously indicated that she was distancing herself from Berry and DeJesus. When the two other women announced they were writing a book, Knight declined to join their project and instead wrote a book of her own. She told Dr. Phil McGraw on the Dr. Phil Show that she was particularly close to DeJesus and the two were often chained together. "There was times that he would hit her and I would stop him and take the hit. I would jump in front of her," Knight told Dr. Phil. And she said DeJesus saved her life after one of her five miscarriages, caused by Castro starving her, jumping on her stomach and kicking her. "There was a time in the house I was going to die but Gina picked me up in her arms and said come back... I begged her to let me die, but she wouldn't," Knight said. She and Berry are "okay," but not the "best of friends." (Hennes Paynter Communications/AP Photo) Gina DeJesus is seen here in the the YouTube video posted, July 8, 2013. The three women held captive in a Cleveland home for a decade broke their public silence in a 3-minute, 30-second video posted on YouTube. 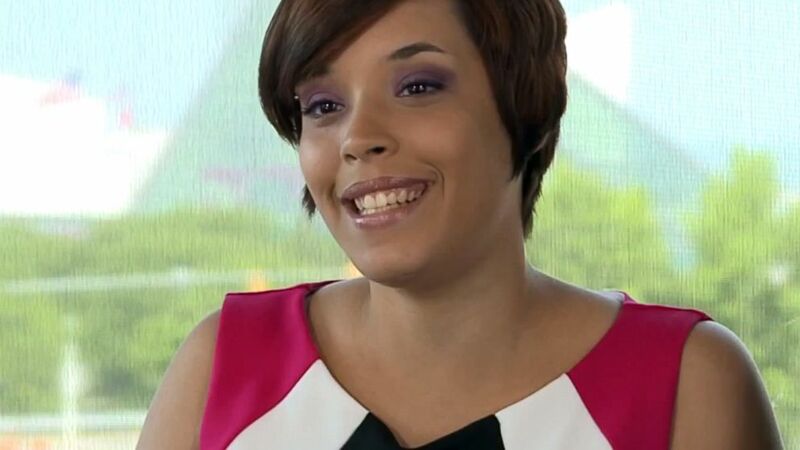 Knight, who was kidnapped by Castro in October 2002, is also taking cooking classes and living in her own apartment. Her new name, after her favorite flower, symbolizes her new life, she told People. Knight opens up about her nightmare captivity in a new book, “Finding Me: A Decade of Darkness, a Life Reclaimed: A Memoir of the Cleveland Kidnappings.” Castro beat her and kept her locked in chains in the basement, even once forcing her to prepare a “torture chamber” for DeJesus’ arrival, Knight has said. This month marks the one-year anniversary of the women’s escape.